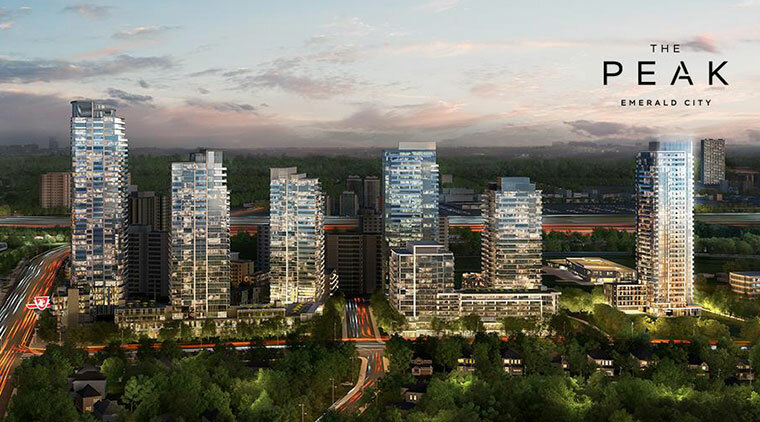 The Peak at Emerald City is a new condo development by Elad Canada currently in preconstruction at Don Mills Road, Toronto. (Don Mills Road & George Henry Boulevard in North York). Sales for available units start from the high $200,000's. The development has a total of 371 units and 33 stories. Experience elevation living at The Peak, the newest and most anticipated phase in Emerald City at Don Mills and Sheppard. Situated beside the beautiful, green Parkway Forest Park, The Peak offers outstanding amenities for your recreational and entertainment pursuits. From the party room and private dining, to the pool and sauna, it’s an oasis of convenience and comfort.